Exercising with hypothyroidism has been quite a misunderstood topic. Many people claim that exercise has huge benefits for people suffering from hypothyroidism. And some others tend to disagree. The truth is that exercise CAN have some amazing benefits BUT not all exercise is created equal. In fact, most forms of exercise will further damage your thyroid. But there are some very beneficial forms of hypothyroid exercise that have proven that they can be a very effective component of your hypothyroidism treatment plan. And don’t forget to make your exercise even more effective by following the right hypothyroidism diet for even better and faster results. I want to make sure that I make myself clear… Most forms of exercise are not beneficial and will only make you more hypothyroid. This is because most forms of exercise cause excessive stress to your body. Almost all exercise is catabolic by nature, meaning that the stress of it causes your body to break down its own tissue. And it’s not until after this exercise that your body’s natural repair processes start up and your body recovers from the stress with the goal of rebuilding itself stronger than before. But you have to realize that when you are hypothyroid, your body cannot properly recover from stressful exercise. So while you are hitting the gym thinking that you’re doing some great hypothyroidism exercise, you are continuously breaking down your body even more while your body fails to rebuild itself. Eventually, your body breaks down to the point that if you’re lucky, you just run out of gas and you just can’t muster enough energy to make it to the gym. But more often than not, you end up with some sort of injury that sidelines your gym efforts. And this is actually quite common due to the calcification of soft tissues that is one of the common hypothyroidism symptoms. But that’s a topic of another article. I think that most people fail to realize that hypothyroidism is a respiratory problem. And without going into detail here, when you perform these types of poor hypothyroidism exercise, it forces your body to shift even further away from your healthy and thyroid supportive, oxidative energy system. And this makes you even more hypothyroid, which continues to carry over even after your workout. So here I’ve listed some of the worse kinds of hypothyroidism exercise that you should be avoiding at all costs. Personally, I think it’s absolutely ridiculous that so many people recommend cardio as a good form of hypothyroid exercise. And because people tend to push themselves to their limit when it comes to doing cardio, it makes it even worse. So, there’s been a major shift away from traditional cardio and to shorter and much more intense workouts. 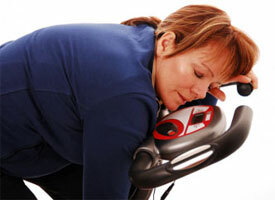 But this also has some major pitfalls, making it another poor hypothyroidism exercise choice. When you’re hypothyroid, you already have a problem storing sugar in your liver. And these intense workouts require your body to use large amounts of sugar very quickly. And when this sugar isn’t available, then your body takes a beating. And again, this causes significant amounts of stress that leave you unable to recover and even more hypothyroid in the end. The right kind of hypothyroidism exercise is very contradictory to the current exercise philosophy of working harder to get better results. In most cases, doing less is actually the key. I’m going to give you three forms of exercise that are highly recommended for hypothyroidism. 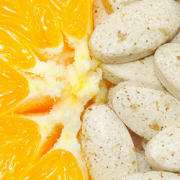 And this is because they are not catabolic in nature and do not work to break down your body. 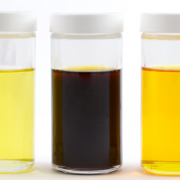 Instead they promote and stimulate your body’s repair processes and create an anabolic, or tissue rebuilding, effect. 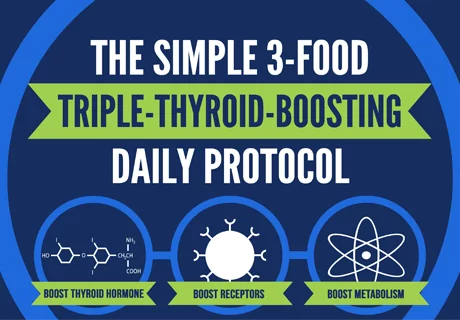 There are a few similarities between these three forms of good hypothyroidism exercise that I think are worth pointing out. One of the biggest similarities is that they all place their primary focus on proper breathing. And this is far more important that you probably realize. They do this because it’s the breathing techniques that they use which work to stimulate your healthy oxidative energy system. And without going into too much detail, this triggers your parasympathetic nervous system which is what promotes your body’s natural repair process. And you’ll also notice that none of these forms of exercise are intense. Instead they are designed to focus on so much more than your muscles. They are balancing your energy system, your hormones, and so many other processes that work behind the scenes which are the true dictators of your health. Instead of creating stress on your body, they are actually lower your stress level and hormones. Below I’ve listed 3 great forms of hypothyroidism exercise. Find which one resonates with you the most and use it to your advantage. I’m a huge fan of Tai Chi and I think its benefits speak for itself. I’ve mentioned many times that thyroid function decreases with age and that many of the health problems common among the elderly community are in fact a result of hypothyroidism. And I think that the testament to the effectiveness of Tai Chi can be seen in the amazing success that it has been providing the elderly community. It’s slowly gaining ground with this age population but the results speak for themselves. Also, consider the fact that as you age, your body’s healing processes slow down. So, if it’s this effective with the elderly, then imagine how effective it can be for the younger population. 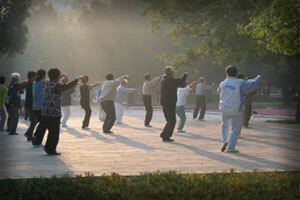 Tai Chi tends to be more structured whereas Qigong is freer flowing. I definitely recommend trying them both and finding which one you find you enjoy more. Yoga for hypothyroidism is one form of hypothyroidism exercise that you have to be a little more careful about. And that’s because there are many different forms and practices of yoga and not all are created equal. You really want to stick with a less intensive form that focuses heavier on breathing and flexibility as opposed to many forms that are much more intense. Have you published a book that we can refer to? If not, where do you find you information on exercise? I find your information to be true but I find it hard to have documented proof to use on a report that I am writing for college. You seem to be knowledgeable but where can we find information about your practice? So grateful to finally have this explained. Where can I find more information on Ti Chi ? There are no Tai Chi classes in my city so I ordered a DVD at Amazon. It will make it easier for me to do at home since my time is limited.